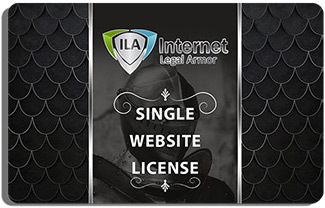 An LLC, or limited liability company, offers the same personal liability shield to each of its owners that a corporation offers. The LLC is essentially an organized partnership offering the same protections as corporations, but with much more flexibility. But, what characterizes LLC taxation? 1. Is the LLC entity itself taxed? The LLC is taxed as a partnership as profits and losses are “passed through” to the members and there is no entity level income tax. The LLC avoids double taxation then just like the S corporation. (Again, some states do impose replacement taxes on the income of LLC’s). The LLC income is reported on Form 1065 and then distributed to owners via Schedule K-1. The owners then report this income on their individual returns (1040) on schedule E. If the LLC has only one owner, the IRS will automatically treat the LLC as if it were a sole proprietorship (a “disregarded entity”). A disregarded entity does not file a tax return and the owner reports the income through schedule C of his or her individual return. If the LLC has multiple owners, the IRS will automatically treat the LLC as if it were a partnership. However, an LLC is known as a “check the box” entity, meaning it may elect to be taxed as a corporation or as a partnership. 2. Do LLC Members pay self employment taxes? In terms of self-employment (payroll) taxes, there is a lot of confusion when it comes to LLC members. Whether a member of an LLC is treated as a general partner as opposed to a limited partner is significant in determining self-employment tax liability since an LLC is taxed as a partnership. If a member is treated as a limited partner, there is no self-employment tax on the member’s distributive share of LLC income. However, any “guaranteed payments” for services actually rendered to or on behalf of the LLC, will be subject to self-employment tax, to the extent that those payments are viewed as renumeration for those services (See 26 USC § 1402(a)). If a member is considered a general partner, he or she must pay self-employment taxes on the member’s share of distributive LLC income. But, there are not yet well-defined rules governing self-employment tax treatment of members of an LLC classified as a partnership for federal tax purposes. Most accountants assume that the tax treatment of a managing member of an LLC is the same as that of a general partner in a partnership, and that the non-managing members are treated the same as limited partners. Generally, a managing member’s earnings and distributive income has been thought of as being subject to self-employment tax. But, the distributive income of the non-managing members has generally been excluded from being subject to self-employment tax. This treatment is based upon the 1997 Proposed Treasury Regulations Section 1.1402(a)-2(h)(2). That regulation states that if an LLC member is: i) personally liable for debts; ii) does have the power to bind the LLC to a contract; or iii) does provide more than 500 hours of service per year to the LLC, the member will be taxed as a general partner and will have self-employment tax obligations on LLC income allocations. Otherwise, the member will be taxed as limited partner. Please note that the 500 hour test does not apply to LLC’s engaged in professional services, such as medicine, law, engineering, architecture, accounting, actuarial science or consulting. For those LLC’s, no member who provides more than a de minimis amount of services to the LLC can qualify for treatment as a limited partner for self-employment tax purposes. Since the 1997 proposed regulation, it has neither been adopted as law or clarified by the IRS. However, the proposed regulation can be relied upon to avoid a penalty under IRC section 6406(f). Also, there is judicial precedence to reasonably conclude that the court will uphold the position of a taxpayer who relies on the regulation. (See Elkins, 81 T.C. 669 (1983)). IRS representatives have also since stated that the 1997 proposed regulation can be relied upon. Finally, it is possible that the LLC will have two classes of interests, one of which is treated as a general partnership interest and one of which is treated as a limited partner interest. If a partner or a member owns interests of both classes, then the member will be able to allocate his or her income allocations between the two classes and will be required to pay self-employment taxes on the general partner portion, but not on the limited partner portion. 3. Does the LLC file a tax return? One underrated advantage of single-member LLC’s is that they are considered as disregarded entities for federal and state income tax purposes. LLC taxes flows through to the single-member. This means single-member LLC’s don’t file separate tax returns like corporations. Multi-member LLC’s will need to file a federal and state return. 4. Are LLC Members responsible for unemployment taxes? In Illinois (and most states), LLC’s are treated the same way they are treated at the federal level. This means LLC’s are not required to pay unemployment tax contributions at the federal or state level related to its members. However, if the LLC elects to be treated as an S-corporation, then the LLC will become liable for such contributions. Of course, non-member employees will subject the LLC to unemployment tax contribution responsibility. 5. Do LLC’s Pay Business Income Taxes? The income/loss of an LLC is on the owner’s personal tax return, most states do not tax the LLC owner separately for the income from the LLC. This income is subject to state income tax in the same way as other owner income or salary/wages. Your business may be liable for LLC income taxes by organizing or registering to do business in a foreign state. California, for instance, imposes an entity income tax on any LLC that earns more than $250,000 based on gross receipts from all income generated in the state. California also charges a minimum flat franchise tax to all LLC’s that organize in California, registers in California, conduct business in California, or receive California source income. Illinois imposes a 1.5% personal property replacement income tax on all S corporation and LLC “partnership” business income derived in the state of Illinois. This means multi-member LLCs will be required to pay a 1.5% tax on any income derived in Illinois. Single member LLCs are disregarded for tax purposes at both the state and federal level and are not subject to the personal property replacement tax in Illinois. A franchise tax is a tax levied by a state for the privilege of either incorporating or qualifying to do business in that state. A franchise tax may be based upon income, assets, outstanding shares, or a combination. Some states, such as Illinois, impose a flat franchise tax on all LLC’s regardless of income, but base their corporate franchise taxes on the paid-in capital of the corporation. Other states impose a franchise tax and corporate income tax (e.g. California imposes a flat $800 franchise tax for LLC’s, but imposes additional income taxes for LLC’s with income exceeding $250,000 as mentioned earlier). Some states impose a significant franchise tax while other states, such as Nevada have no franchise tax. Typically states that impose higher corporate income taxes usually have low franchise taxes. The amount of the franchise tax and the method of calculation can usually be found on the secretary of state, or similar department, website of each state. Your business may be liable for franchise taxes if it has to qualify to do business elsewhere. So, this isn’t exactly the best reason to pick a state like Nevada, for example, to organize your business.